You are currently browsing the tag archive for the ‘United’ tag. 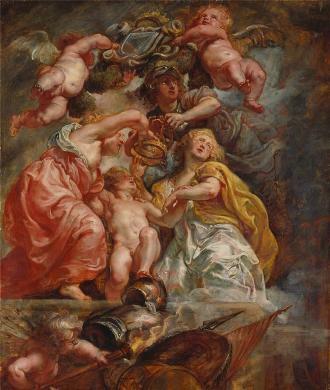 This strange work “The Union of the Crowns” is by the consummate painter’s painter, Peter Paul Rubens. It shows the symbolic joining of the crowns of England and Scotland, an event which occurred upon the death of Queen Elizabeth I on March 24, 1603. When Elizabeth Tudor died without an heir, the crown of England passed from her to her first cousin twice removed— James VI, King of Scots (thereafter also James I of England & Ireland). The United Kindom did not formally become one imperial kingdom until the Acts of Union of 1707, but once a single sovereign held both thrones, the way was certainly paved for the merger. 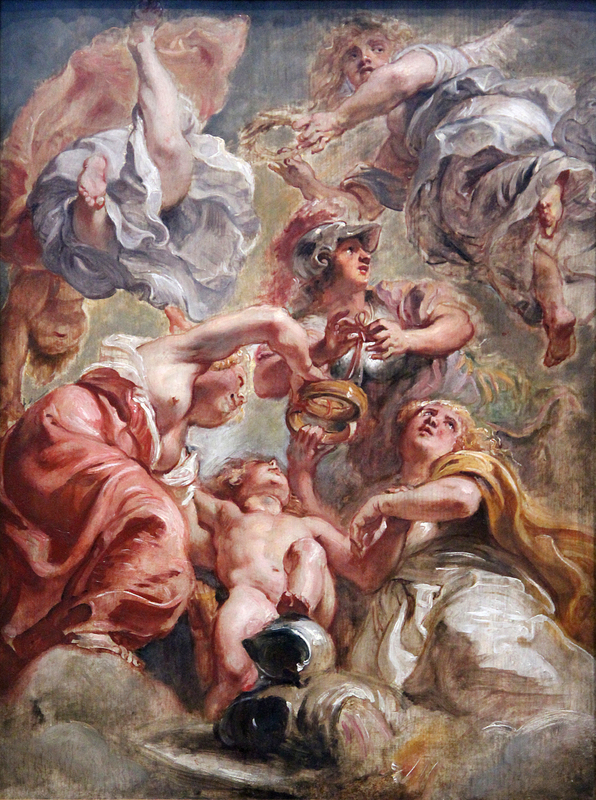 This mighty canvas hangs in the banqueting hall at Whitehall and it shows James I attentively watching as Juno and Venus hold the two crowns over a regal chubby naked baby (who may be Great Britain or may be an infant Charles I–back when he still had a head). 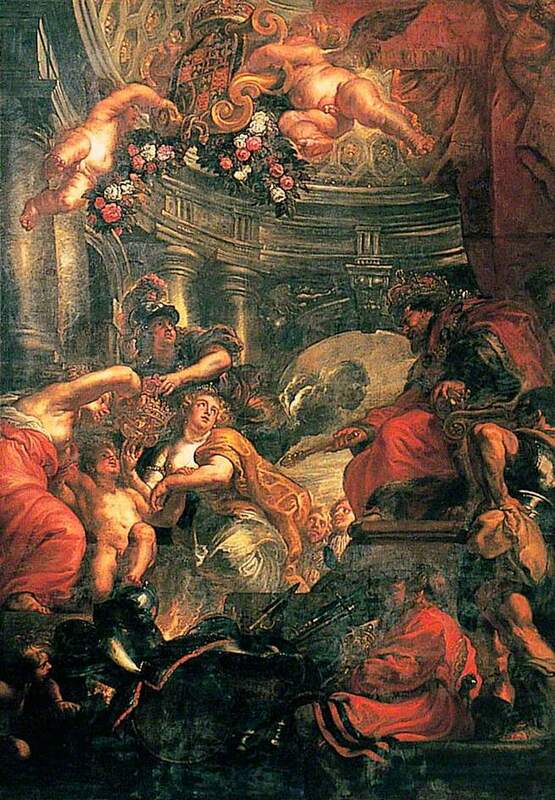 Minerva joins the crowns together as flying putti hold the conjoined shield aloft among a suffusion of roses.